Orcas or killer whales are well-known for their intelligence. They often display this intelligence when they are hunting for prey. They would band together to make it easier for them to catch prey. In the following clip from the show Frozen Planet on the Discovery Channel, a pod of orcas employ what is referred to as "wave washing". 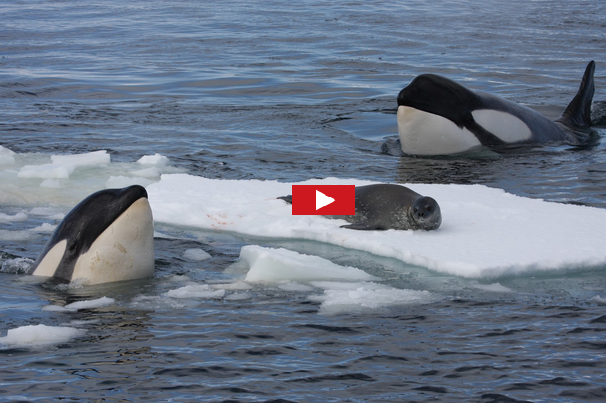 With this behavior, the orcas would create waves big and strong enough to dislodge a seal from a floating ice floe. With the seal in the water, the orcas would then move for the kill.